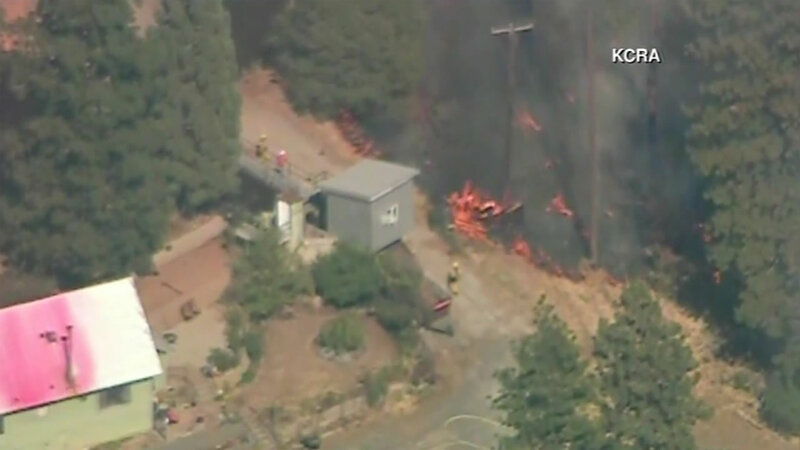 TUOLUMNE COUNTY, Calif. (KGO) -- A school, a Christian camp and homes have been evacuated in Tuolumne County because of two wildfires burning near Sonora that are spreading quickly. The fire is now 100 acres and 20 percent contained. One person has been injured, but authroities have not identified the person. The temperature reached the upper 90s in Sonora Tuesday. It's expected to top triple digits the next few days making fire conditions even worse. #OakFire [update] off Old Oak Ranch Rd in the Cedar Ridge area (Tuolumne County) is now 20% contained.